A boy never gives up hope when his little dog vanishes at sea in this suspenseful and heartwarming true-life adventure. Herbert was a small dog who lived by the sea. Everybody loved him, but the person who loved him best of all was Tim. One fine day, Herbert sets off on a boat with Tim s father. But without warning, a storm crashes in and so begins the biggest adventure of Herbert s life. 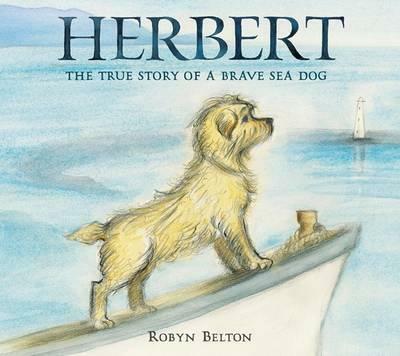 This stirring true story, written and illustrated by Robyn Belton, tells the remarkable tale of a young boy s beloved dog and his real-life adventure at sea." Robyn Belton is one of New Zealand s most accomplished illustrators of children s books. She is the illustrator of Virginia Kroll s MARTA AND THE MANGER STRAW and has won the NEW ZEALAND POST Children s Book Award and the Margaret Mahy Medal. She lives in New Zealand."